The year is racing past and I was reminded that I hadn’t written a blog post for over six months. It could be due to a lapse of my memory, but I’m hoping it’s more indicative of a really busy and productive time for the NI! It’s a good time to update you now as we’ve had a few changes here in Yarmouth Place including the change of three members of staff. Leaving us were Jabed (Finance Officer), Andrea (Marketing and Comms) and Sally (Membership) – we are sad to see them go but grateful for all the work they put in to moving the NI forward. We hope you’ve noticed the changes and improvements that they were a big part of. We’re also pleased to welcome their replacements – Om (Finance Officer), Sally (Marketing and Comms) and Dimitra (Membership). They will all have a great deal of involvement with our volunteers so we hope that you can help them settle in quickly. Hopefully the other big changes you will have noticed since January are the new look Nuclear Future (now on its third issue) and the updated and refreshed website. If you were one of the members who received a second copy of the magazine for a colleague then I hope you will nudge them to also become a member. We’ve had a lot of very good feedback on the refreshed version so we hope this will lead to an expanded readership. The website has had a substantial overhaul since December and new improvements are being added all the time. The biggest visible changes have been the greater use of images in relation to news stories and events, the greater ease of finding and booking events and more flexible pages for the branches, YGN and WiN. Behind the scenes you might also have noticed big changes to the link to the booking and payment processes as well as the member login area. If you haven’t tried logging in recently I would urge you to have a go as we have enhanced the way that members are able to make their service a bit more personalised. This will continue to evolve so we welcome your ideas. Events are now all bookable online and even non-members are able to book this way with a guest login. “So what else have you been up to over this unfeasibly hot summer?” I hear you cry. There’s still a busy events schedule until the end of the year including an AGM in September with a lecture by Honorary Fellow Dr Tim Stone CBE. The Board of Trustees is reviewing our governance to make us more modern and effective in delivering our services to our members. Our new Chartered Environmentalist and Registered Nuclear Professionals titles will be rolled out. We are focusing on strengthening our position as the industry’s membership body of choice by focusing on professional membership recruitment. Our diversity and inclusivity plans will look to follow the aims of the Nuclear Sector Deal. We are strengthening our links to academia with a membership grade specifically for universities and colleges with nuclear programmes. We will be surveying our members to check how we’re doing. There is still time to submit your application to become a trustee and I hope to meet many more of your at our AGM on 19 September. 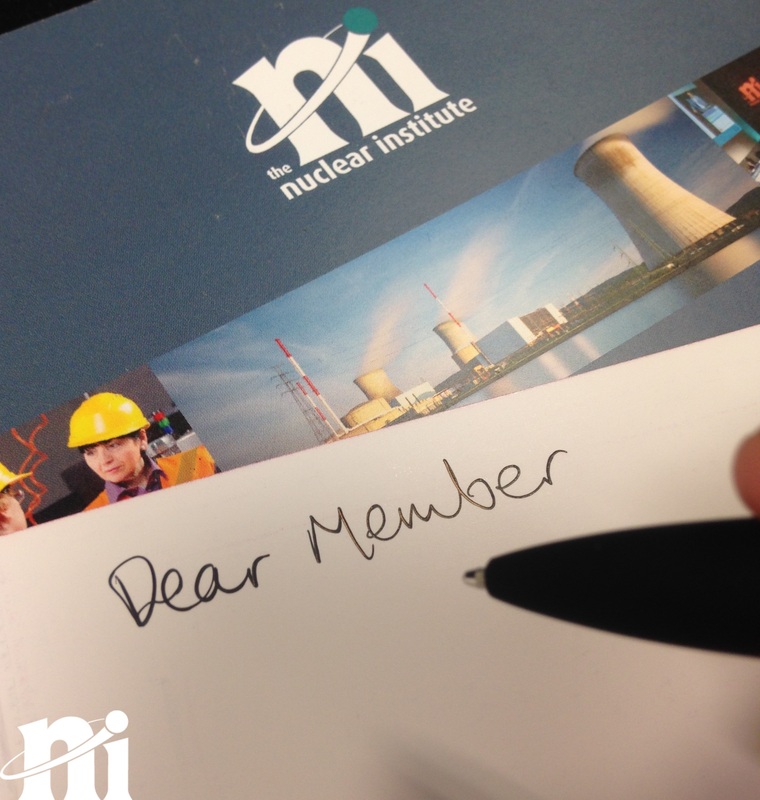 Please don’t hesitate to give me your feedback in the meantime – ceo@nuclearinst.com.